Two members of a Japanese junior baseball team get mixed up with the local yakuza. 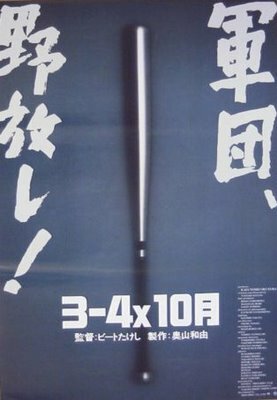 After their coach is severely injured by the gangsters, the two boys set off to Okinawa to purchase a gun in order to get revenge. While in Okinawa they get befriended by a psychotic yakuza outcast who is planning a revenge of his own.